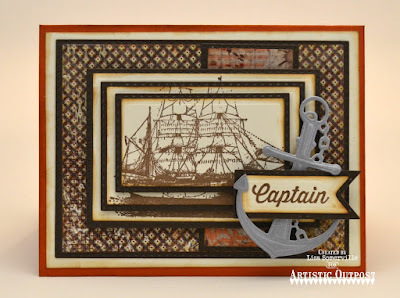 Welcome to the Artistic Outpost January New Release and Blog Hop! 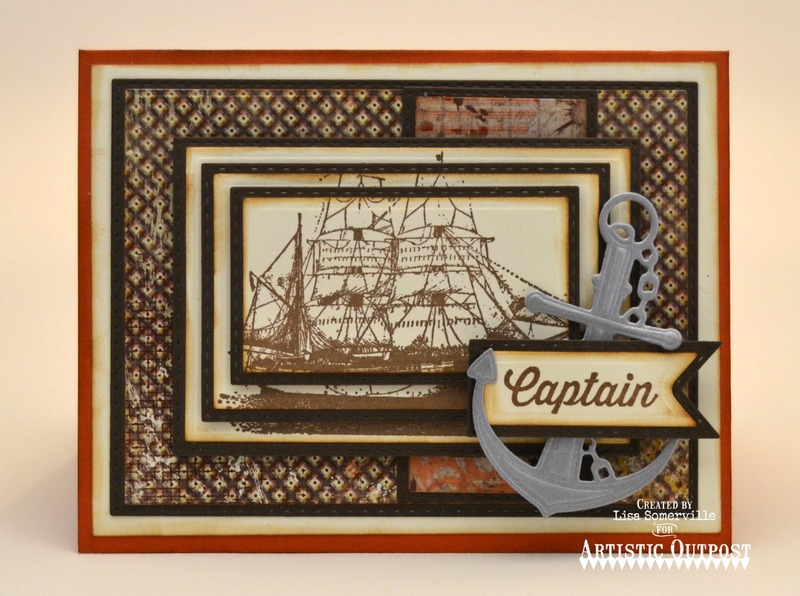 This month, Artistic Outpost is releasing one stamp set, one paper collection and one custom die set! You're going to love this masculine set, the paper collection goes with so many of the AO stamp sets and the die set is so cool! Keep reading below to see how you can win a $15 Gift Code to the ODBD Website! Today, I'm sharing two cards using the new January Release along with additional Our Daily Bread Designs Custom Dies. Please see my complete supply list below. Just for commenting on the Design Team Blog Posts, you have a chance to win a $15 Gift Code to the ODBD Website. You have until January 13, 2017 at 10:00 PM CST to leave comments on the participating designers blogs for a chance to win! One random winner will be selected from the comments left on the designers blogs, the winner will be announced on the AO Blog on January 14, 2017, be sure to check back there to see if you have won! Love both cards Lisa! 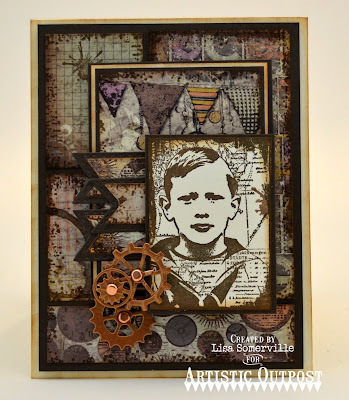 Fabulous designs and love how you used the new papers with the cool images! Fantastic cards!! Thanks for the inspiration!! Two beautiful cards, Lisa! The layout of papers is fabulous as only you can do! Love that anchor with the Captain sentiment!